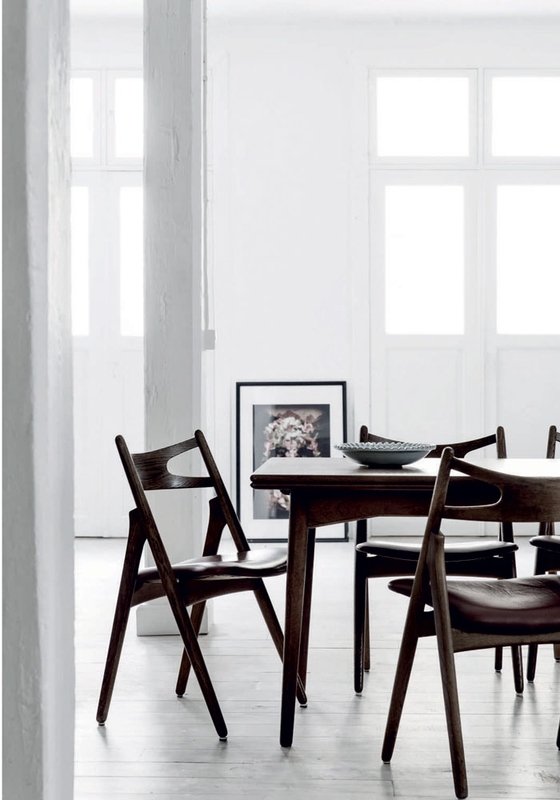 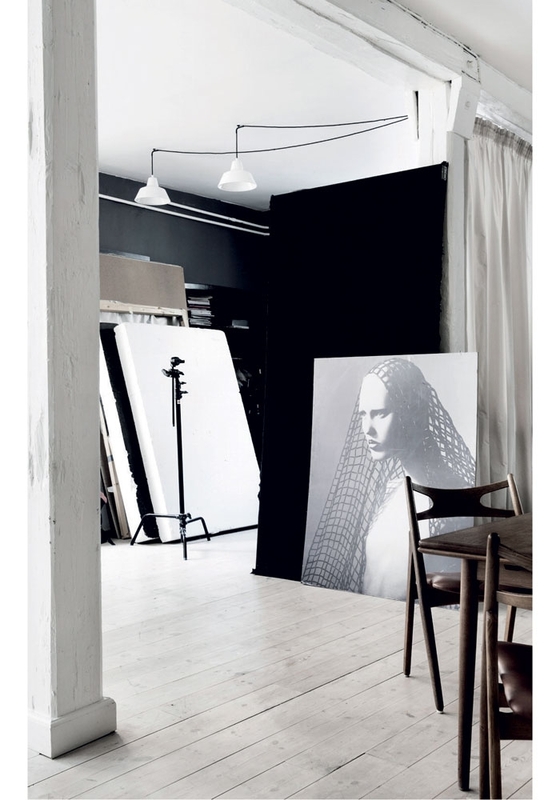 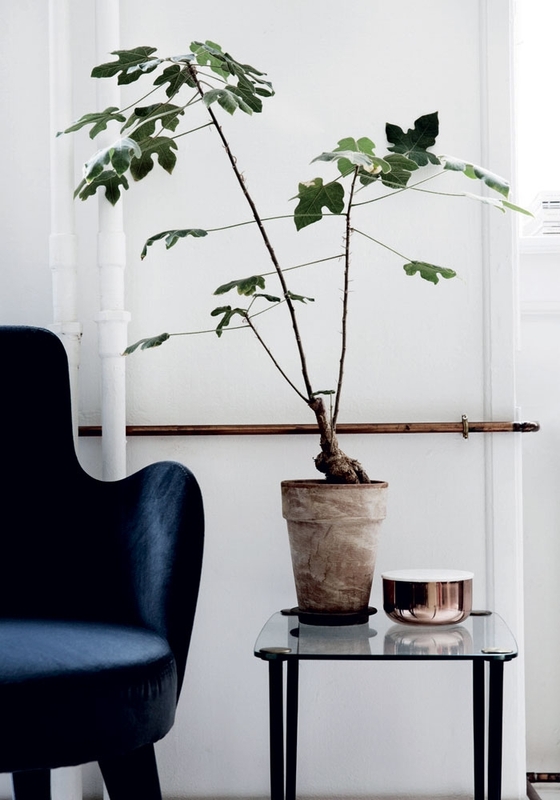 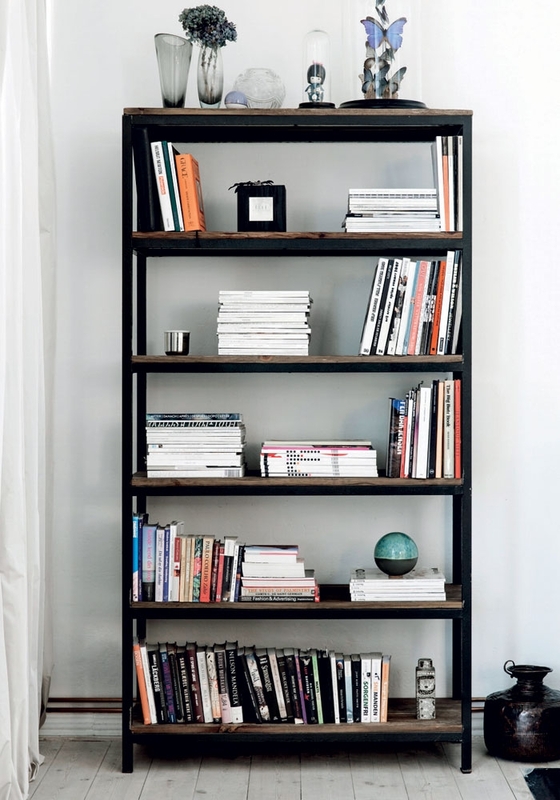 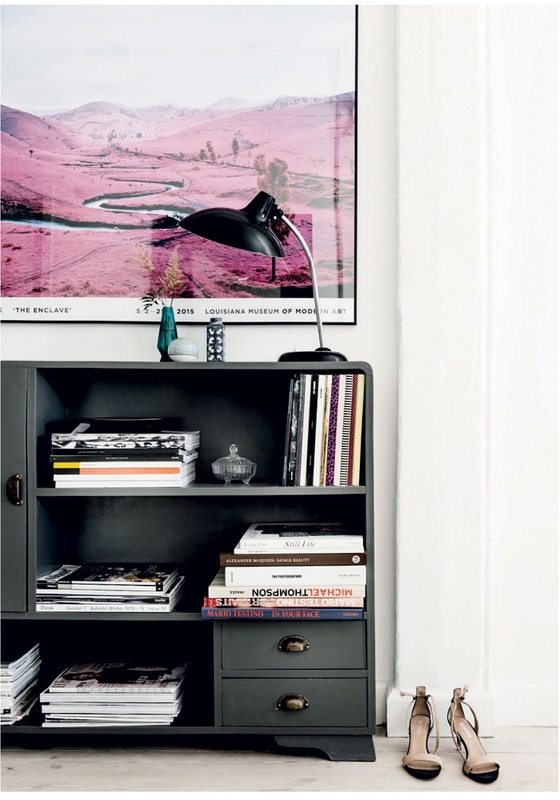 Home of makeup artist Anne Staunsager and photographer Michael Rygaards is situated in an old abandoned toy factory building which they decorated themselves with a stylish furniture, photography and vintage finds. 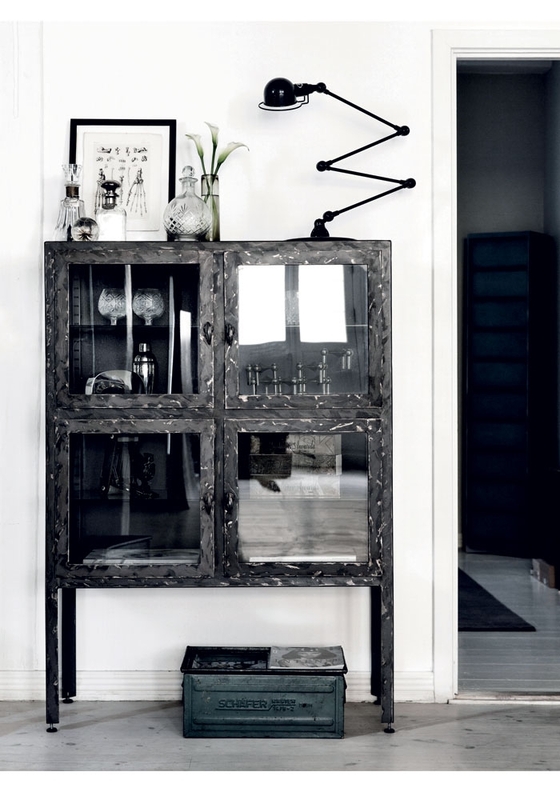 The apartment is furnished simply but with a big attention to detail. 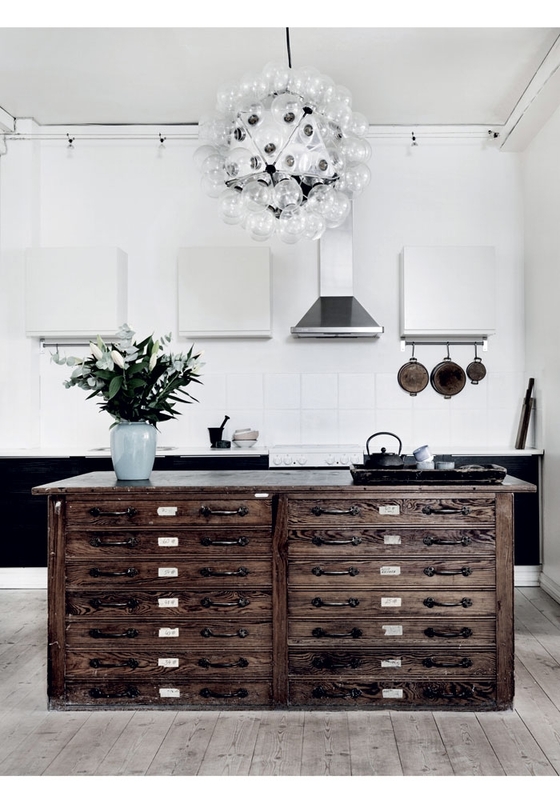 I love the use of the old file drawer as a kitchen island and its contrasts with the rest of the otherwise minimalist room. 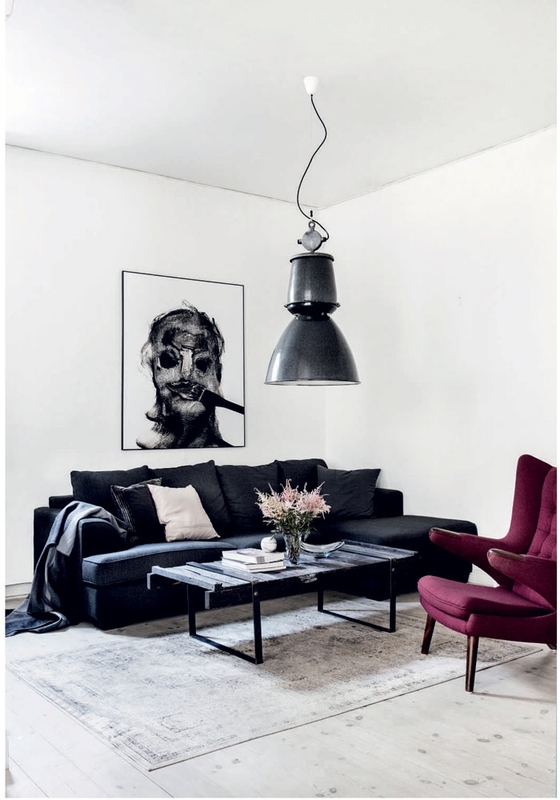 The living room is dominated by the use of a large industrial lamp and you can also find a Wegners Papa Bear chair here. 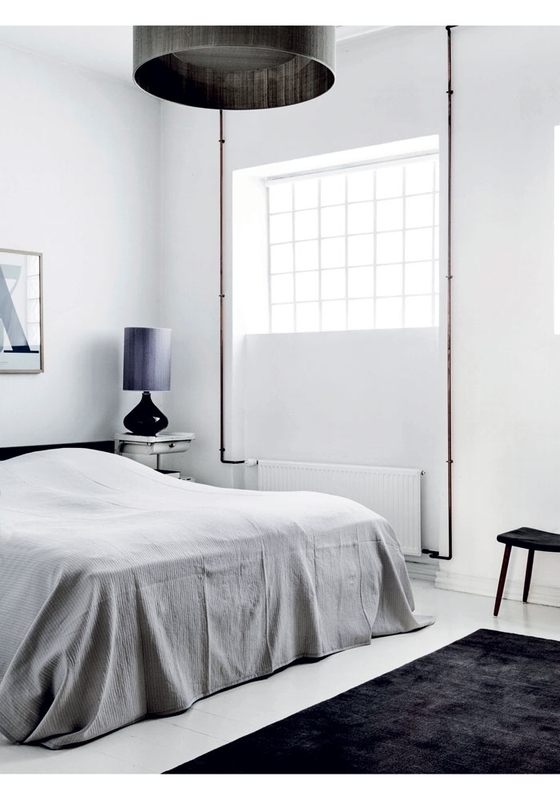 The whole apartment is a great showcase of industrial, mid century modern and minimalist style put together and it looks amazing.